Backyard Greenhouses Announces Summer Sale! After a long, wet, soggy, cold Spring, Backyard Greenhouses is celebrating summer! We are offering our tiered savings promotion which could save you up to $500 towards the purchase of a greenhouse. The promotion runs from June 15th until July 15th, 2011. These savings apply to the greenhouse only and do not apply to accessories, shipping or tax portions (if applicable) on an order. Please note that this special does not apply to the Feature Sun Garden or Legacy greenhouse models. Savings does not apply to discounted pricing, but to regular pricing only. Effective immediately, all feature models excluding the Sun Garden and Legacy greenhouses, will maintain their feature pricing even if a customization option is requested. Customization charges will apply to the reduced feature price and not the regular price as had been the case in the past. Customization options now included are gable attached free standing greenhouses, door options (double door, or add a door in the rear gable end), modifcation in length or width, chop downs for roof height, jogs required in walls, custom height adjustments, additional bracing for wind or snow loads, added partition walls, extra venting or custom paint colors. All shipping quotes will be honored for 90 days instead of 30 days. Usually, there is a marked change in the month of June. However, many parts of North America experienced a wet and soggy Spring, delaying our gardening season in some places by a month or so. 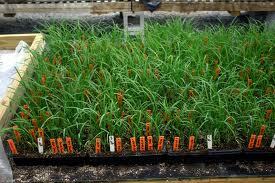 Usually pots and trays vanish from the greenhouse in June, as the seedlings are transplanted outdoors. 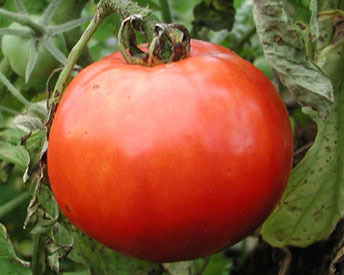 If you have been growing cucumbers and tomatoes in a heated greenhouse, they should be ready for picking. Usually heaters are turned off in the month of June, except in the colder parts of North America. It's a good time to clean and overhaul your heating equipment. Watch for sun scorch if you are using your greenhouse. You may notice that growth slows down, flowers may fade and leaves may experience burning. Air ventilation and circulation is now crucial. Be sure to open all greenhouse vents to help keep the temperature down. Make sure your exhaust fan is operating correctly. You will likely have to water more at this time of the year as well. Some plants may even need to be watered twice a day. It helps to dampen your greenhouse down daily once the warmer weather appears. Take your garden hose and spray down the floor, roof and walls. Take precaution if spraying near electrical. Spraying down your greenhouse also discourages red spider mite, which can become a nuisance this time of year. Move as many plants as possible outside during June, or earlier, if all danger of frost has passed. Always make sure your plants are hardened off before placing outside as well. Most plants survive outside from June to October. Once you move your plants outside, clean up the greenhouse. You can still sow seeds of plants which will provide a winter and early spring display of color. You can also take leaf cuttings of Bougainvillea, Oleander, Begonia and many more. 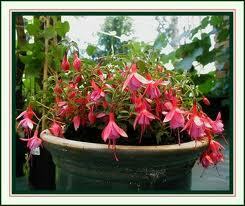 Rooted cuttings taken, like Fuchsia, should be in their final pots for autumn display. 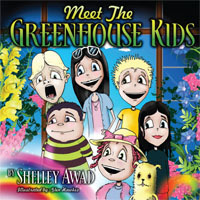 Backyard Greenhouses owner, Shelley Awad, is also a best-selling children's author. 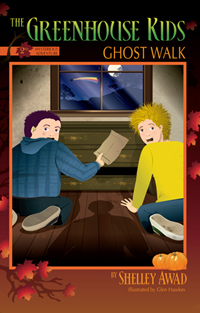 The Greenhouse Kids series of books was recently awarded the coveted PTPA Winner's Seal of Approval. If you enjoy gardening, you'll enjoy these charming garden-themed mystery tales. The books are for kids 8 to 12, but adults like them too. The new release, Meet The Greenhouse Kids is for children aged 3 to 6. The characters are named after flowers and plants, and also share the same traits. 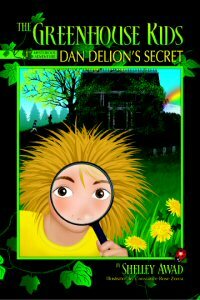 That's why Dan Delion has spiky blonde hair and he's growing like a weed!